Bright tan belly with white stripe on flanks, dark back with chestnut stripes, gray bill, blue-gray legs and feet. Reaches 18-21 inches long, with a 3 foot wingspan, and weighs 1 ½ to 1 ¾ pounds. Wet agricultural land, ponds and marshes. Very widespread; populations are found in southern U.S. and Mexico, southeast South America, east Africa and India. Also tends to wander and has been found along the northeast coast of the U.S. to Nova Scotia and in the midwest plains states. Seeds, fruit and grain. Will flock in large numbers to rice paddies to feed. Will occasionally eat insects and small aquatic invertebrates. Nest is made of reeds lined with grasses and weeds on the ground in dense vegetation or grass hummock; sometimes nests in a tree cavity. One clutch per year of 12-14 dull, white eggs, incubated by both parents for 24 – 26 days. Young fledge in 55 to 63 days; parents offer care but young feed on their own. 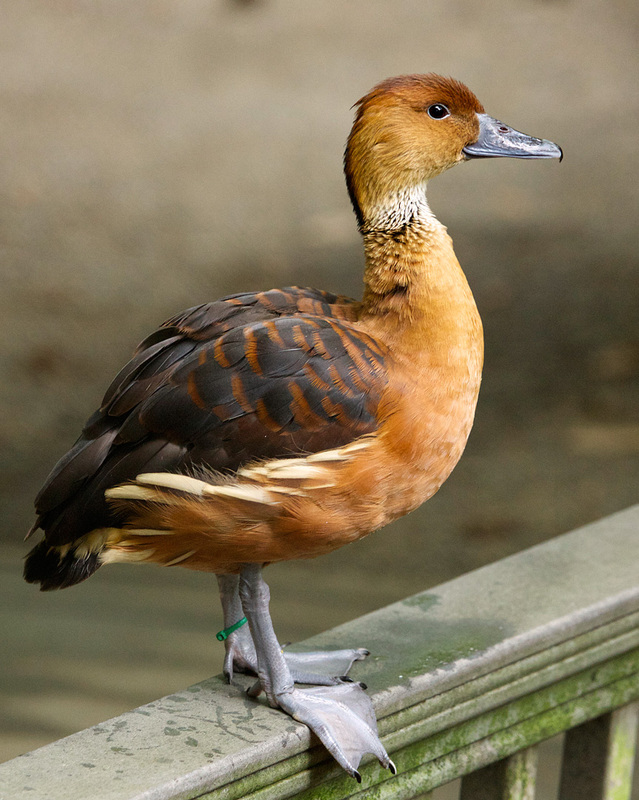 The Fulvous whistling duck is named for its tawny color and high-pitched, two-note call. It is most active during the night and can often be seen flying in flocks at dawn and dusk. 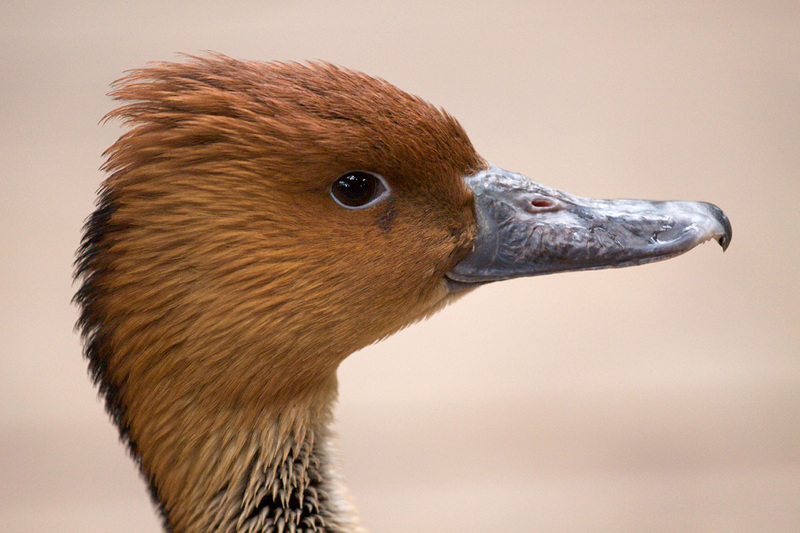 Connecticut’s Beardsley Zoo has a pair of whistling ducks, usually kept in our Rainforest Building. They both hatched at the Virginia Aquarium; the male on June 11, 2004 and the female on August 24, 2004.